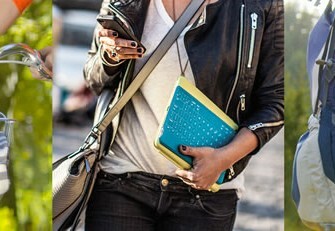 Logitech today unveiled the new Logitech Keys-To-Go, a slender stand-alone Bluetooth keyboard for any iPad that can fit anywhere and go everywhere. 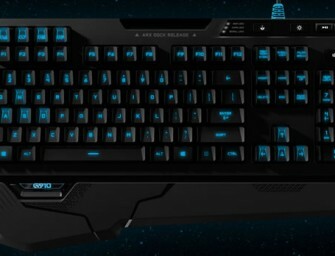 The new Logitech Keys-To-Go standalone ultra-portable keyboard makes the perfect..
Logitech today announced the Logitech G910 Orion Spark RGB Mechanical Keyboard. 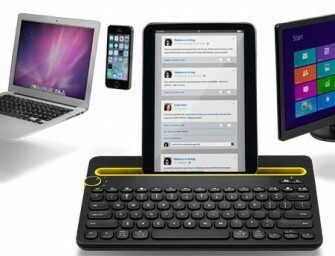 The keyboard features Logitech’s exclusive new Romer-G mechanical switches, offering 25 percent faster actuation than any other mechanical switch, improved durability..
Logitech today unveiled the Logitech Bluetooth Multi-Device Keyboard K480, the first desk keyboard designed for use with up to three devices, regardless of computing platform. 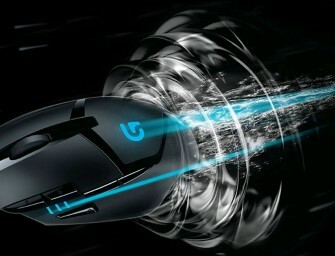 User can type a report on his..
Logitech today introduced the fastest gaming mouse ever made, the Logitech G402 Hyperion Fury Ultra-Fast FPS Gaming Mouse. 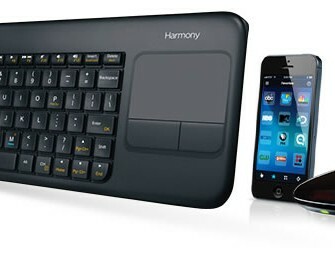 The Hyperion Fury features Logitech’s exclusive Fusion Engine sensor technology that can reliably track..
Logitech Harmony Smart Keyboard is a keyboard and touchpad combination specially designed for controlling streaming media in living room. 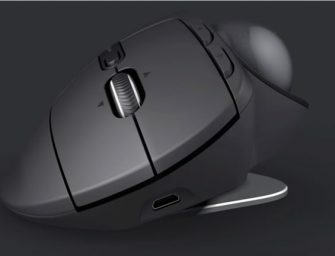 Logitech Harmony Smart Keyboard simplifies text entry, so user can search for shows,..
Logitech today introduced a breakthrough video conferencing solution. 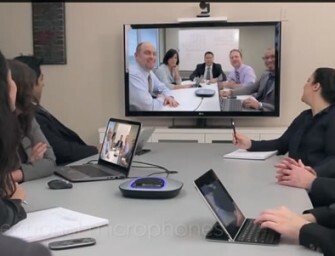 While a typical video conferencing setup can cost $7,000 or far more, the Logitech ConferenceCam CC3000e – at under $1,000 – is a powerful.. 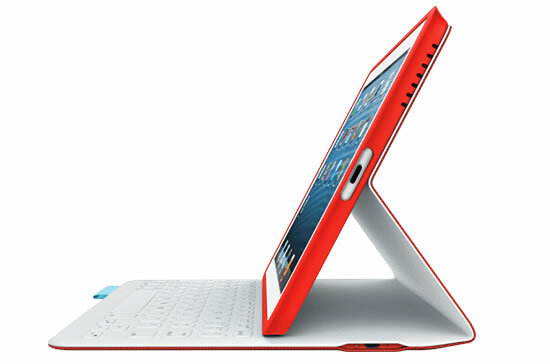 The new Logitech FabricSkin Keyboard Folio for the new iPad Air provides protection against accidental bumps, scratches and spills while remaining ultra-thin and light. 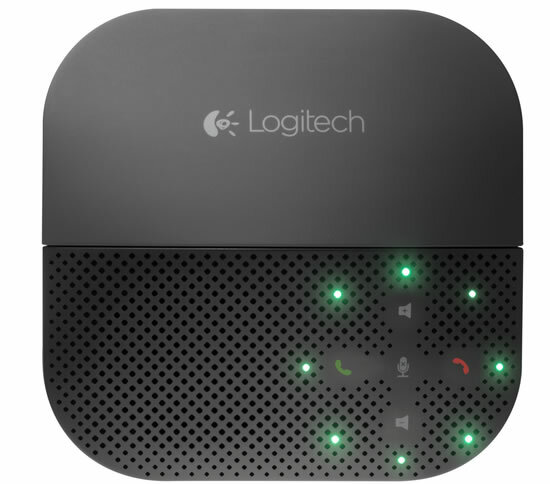 The Logitech FabricSkin Keyboard Folio combines on-trend design..
Logitech today introduced the Logitech Mobile Speakerphone P710e, a compact speakerphone designed for an individual or small group to easily set up an instant conference room virtually anywhere – in the office,..